Collocation is the relationship between two words or groups of words that often go together and form a common expression. If the expression is heard often, the words become 'glued' together in our minds. 'Crystal clear', 'middle management' 'nuclear family' and 'cosmetic surgery' are examples of collocated pairs of words. Some words are often found together because they make up a compound noun, for example 'riding boots' or 'motor cyclist'. Examples of phrases: a person can be 'locked in mortal combat', meaning involved in a serious fight, or 'bright eyed and bushy tailed', meaning fresh and ready to go; 'red in the face', meaning 'embarrassed', or 'blue in the face' meaning 'angry'. It is not a common expression for someone to be 'yellow in the face' or 'green in the face' however. Therefore 'red' and 'blue' collocate with 'in the face', but 'yellow in the face' or 'green in the face' are probably mistakes. English has many of these collocated expressions and some linguists (e.g Khellmer 1991) argue that our mental lexicon is made up of many collocated words and phrases as well as individual items. Some words have different collocations which reflect their different meanings, e.g 'bank' collocates with 'river' and 'investment'. A good place to look for collocations is a corpus database of language, which has been concordanced, or selectively organised and indexed around a word. The VLC concordancer does this. If you would like to go to the VLC's Web Concordancer, CLICK HERE. Kjellmer, Goran (1994) A dictionary of English collocations Oxford : Clarendon Press : Oxford University Press. Call Number PE1689 .K54 1994. Three copies, reference section, library use only. (1994; paperback edition, 1995). By E.H. Mikhail. London: Cassell. 342 pp. The Newbury House Dictionary of American English http://www.heinle.com/eslsites.html . Using the BBI: A Workbook exercises for the BBI Combinatory Dictionary of English By Benson, Benson, Ilson, and Young. Companion workbook to the BBI Combinatory Dictionary. Lots of good exercises to use with the dictionary. Most of these exercises are collocations awareness building exercises. (1991). John Benjamin Publishing Company. 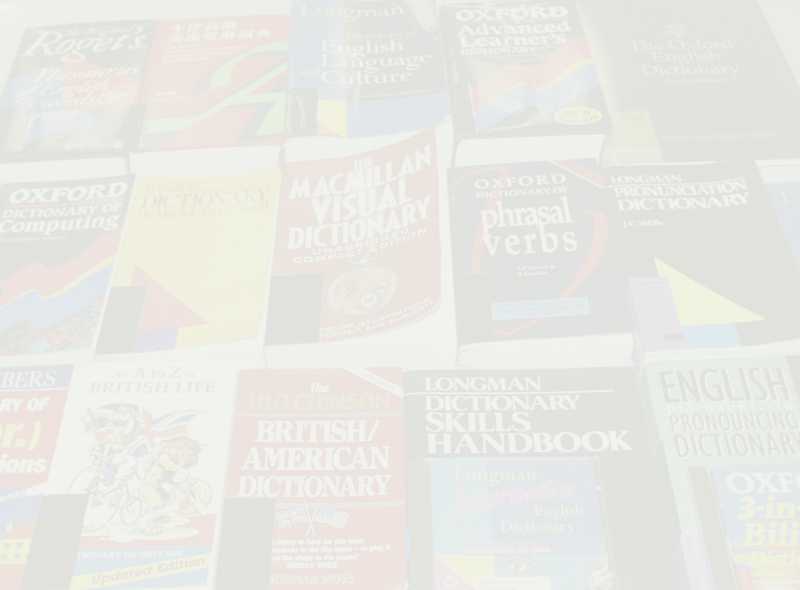 A Dictionary of English Collocations (English/Chinese) "Yingyu Dapei Dacidian"